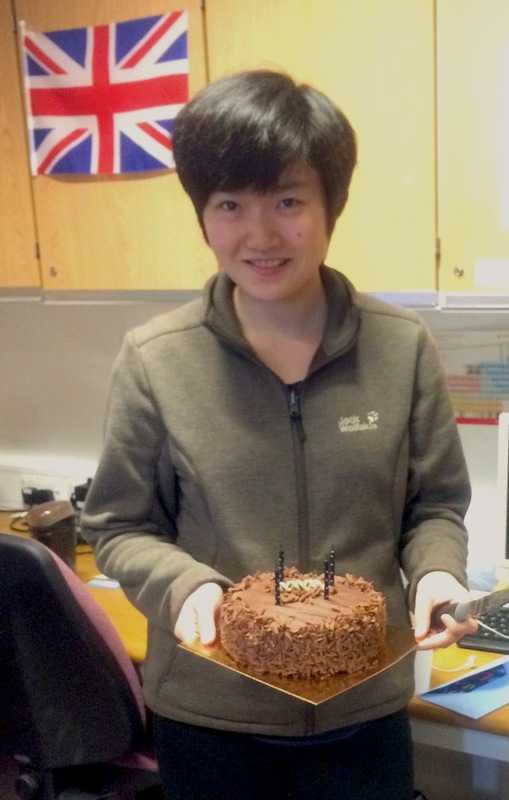 After a bit of a dry spell, we are entering into birthday season again, kicked off with Yumeng’s birthday! Masters (by research) or PhD student? Interested to join the Faul Research Group? Please click here! Interested to join the Faul Research Group as post-doctoral researcher? The call for the new EU Horizon2020 Marie Skłodowska-Curie Individual Fellowships is now open. The deadline for final submission of proposals is 11th September 2014, with an internal deadline of Friday, 29th of August, 2014. These fellowships are available either as European Fellowships [open to researchers currently within Europe (not the UK, see below) and outside Europe], or as Global Fellowships [based on a secondment to a third country and a mandatory 12 month return period to a European host]. Excellent candidates must either have a PhD at the time of the call deadline or at least 4 years full time research experience (inclusive of PhD). The mobility rules require that the researcher has not resided or carried out their main activity (work, studies, etc) in the UK for more than 12 months in the 3 years immediately prior to the closing date. Please contact Dr Charl Faul as soon as possible with a 2-page CV, including a publication list, and two letters of reference if you are interested. A paper with Jiangtao (a visitor and member of the FRG in 2011) and colleagues from Xi’an Jiaotong University was accepted for publication in the Journal of Materials Chemistry B. The paper focusses on the preparation of tetra(aniline) microcapsule through a facile solution-based process. More news on this soon! New joint PhD student in the FRG! Charlie (Jarret-Wilkins) joined the Manners and Faul groups as a joint PhD student. 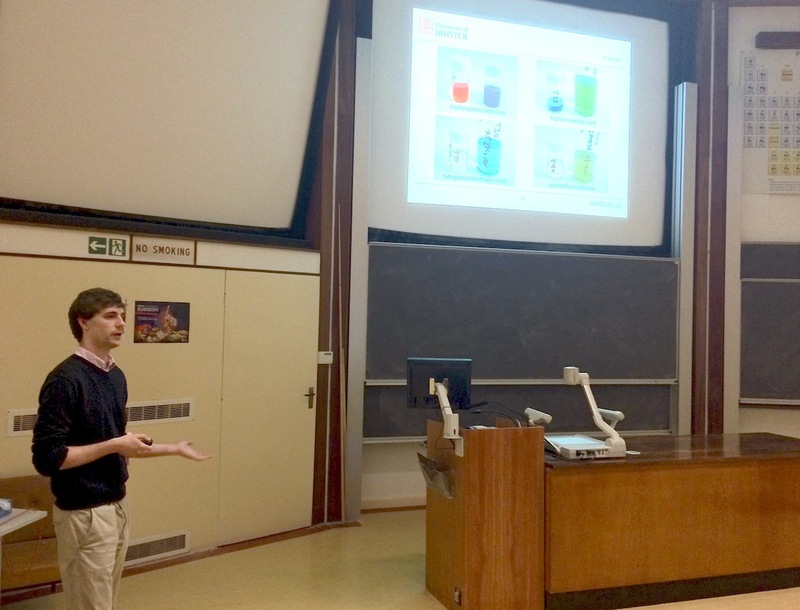 Charlie started his PhD career in the Bristol Chemical Synthesis CDT, and after working in various laboratories over the last 6 months, has now chosen a joint Manners/Faul project for his PhD. Welcome! Prof Steve Armes, who was very recently elected as Fellow of the Royal Society, gave the RSC Tilden Award Lecture at the School of Chemistry on Wednesday, showing some of his exciting results on polymerisation-induced self-assembly. Ben from the FRG was the first speaker of the afternoon’s mini symposium! Here he is in action, starting of a great symposium and an afternoon of excellent talks!